Jean-Michel Cousteau will share tales from a lifetime of underwater exploration on three Crystal voyages. The eldest son of ocean pioneer Jacques-Yves Cousteau and a renowned environmentalist in his own right, Jean-Michel will share his expertise about the world’s oceans through interactive experiences on board Crystal Serenity and Crystal Esprit. 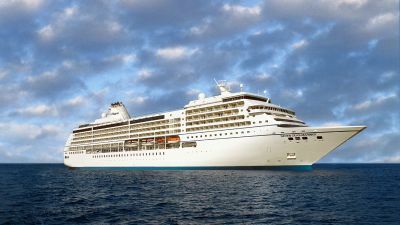 Crystal Serenity will sail in May on its Hawaiian Havens voyage in the warmer regions of the Pacific Ocean before heading for an Amazon Escape voyage in October to explore the Caribbean Sea, Atlantic Ocean and Old Bahama Channel. In November Crystal Esprit will voyage through the West Indies round-trip from Marigot Bay through the deep Caribbean. "It is an extraordinary opportunity for our inquisitive guests to learn from Mr Cousteau as they travel the seas together,” Crystal Cruises president Edie Rodriguez said. In addition to region-specific lectures, Cousteau will offer interactive presentations discussing his father’s legend and his own legacy, as well as insights into ocean life that most captivates him, including the delicate balance of the roles of orcas and sharks. 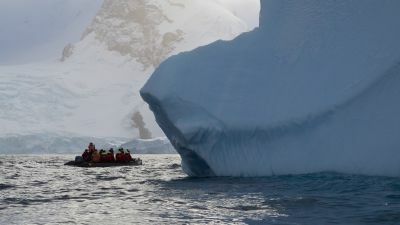 Guests will learn the connection between the oceans and everything else on the planet, and enjoy a glimpse of his newest film, which features images captured by Cousteau for the first time in his 60-plus years of diving. Cousteau, in his position as founder of the Ocean Futures Society, will also talk about his extensive environmental and conservation efforts. Top picture: Jean-Michel Cousteau exploring the world below the waves. Round-trip from Los Angeles, the 16-day Hawaiian Havens costs from $5985 per person. Round-trip from Fort Lauderdale, the 24-day Amazon Escape costs from $5895 per person. Round-trip from Marigot Bay, the seven-day Crystal Yacht Expedition Cruise costs from $5950 per person.